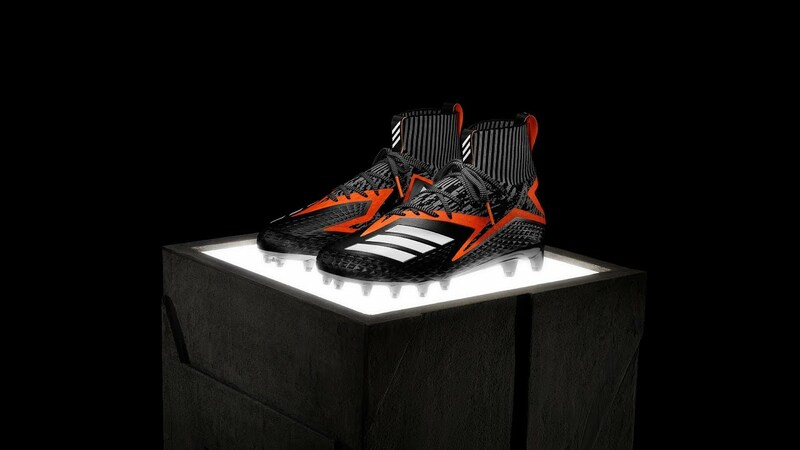 adidas Football has unveiled the evolution of the mid-cut football cleat with the introduction of the FREAK Ultra PK featuring Primeknit & Boost technology. Taking cues from car designs, a reengineered stealth like chassis is sculpted to be aerodynamic, while the horsepower contained within takes the FREAK Ultra to the next level. With a unique silhouette designed to provide mid-cut support with a low-cut feel, the FREAK Ultra introduces new technologies for the most versatile speed athletes on turf, such as Von Miller, Dak Prescott, Jay Ajayi, Joey Bosa and Landon Collins.